COUNTRY RANCH ON OVER 1.2 ACRES IN LAPEER TWP. ONLY A FEW MINUTES FROM THE FREEWAY. ALSO HAS A NICE 30'X40' MAN CAVE WITH A SINK, URINAL, MULTIPLE 220 LINES, BARN HEATER, CUSTOM MAN KITCHEN AND NEWER 100 AMP SERVICE. 10' CEILING PLUS A 12'X9' DOOR. 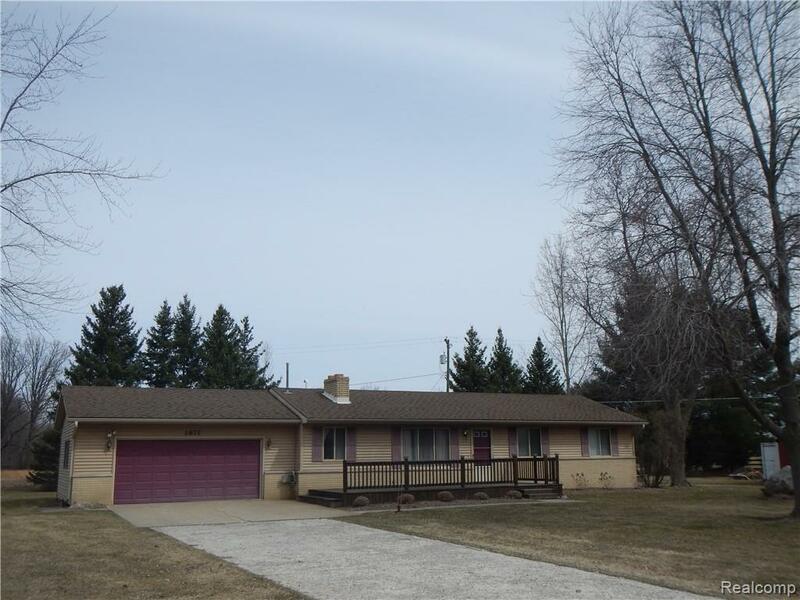 NICE RANCH STYLE HOME WITH 3 BEDROOMS, 1 & 1/2 BATHS, WET BAR, LARGE LAUNDRY ROOM AND GAS FIREPLACE IN LIVING ROOM. NICE QUIET PAVED ROAD. GREAT FOR ANY CAR GURU! WOOD STOVE IN BARN DOES NOT STAY.